The EEOC recently filed suit on behalf of three (3) former employees against a New York company claiming that the employees were forced to participate in religious activities at work and were fired if they refused. It is alleged that the company required the employees to pray, thank God for their jobs, and tell their managers and colleagues “I love you”. The company followed a belief system called “Onionhead” which was a doctrine created by a family member of the company’s owner. In addition, there were group prayers, candle burning, and discussion of spiritual texts in the workplace. Employees were also told to wear Onionhead buttons. It is alleged that none of these practices were work-related. It is further alleged that one employee told management that she was Catholic and did not want to participate in the Onionhead practices. That employee’s office was then relocated and a large statue of Buddha was placed in her former office. After she protested, she was then fired. The EEOC has filed suit on behalf of these employees seeking back pay with interest and unspecified damages. 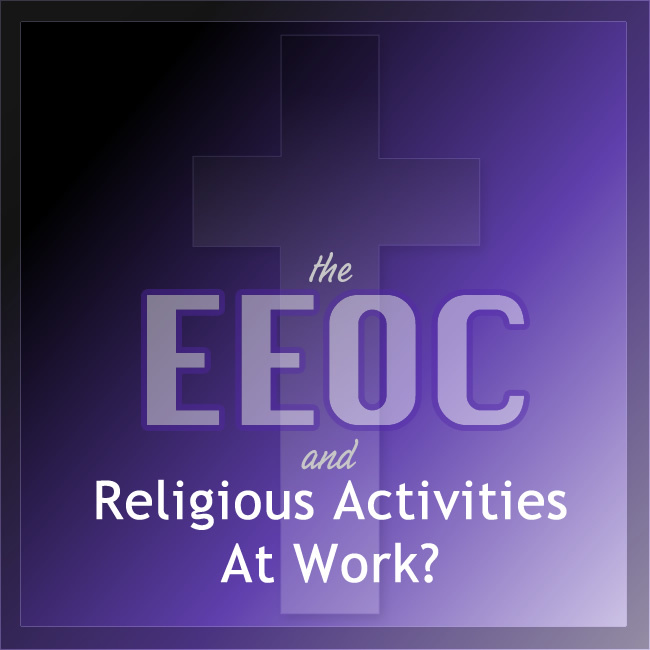 In addition, the EEOC is also seeking an injunction against the company relative to their religious requirements. Through this suit, the EEOC is contending that employers are not permitted to dictate the religious aspects of their employees’ lives and that work pressure to conform to the employer’s spiritual or religious practices violates federal employment law. Without question, this case poses rather extreme facts but nonetheless it is a reminder to employers that they should not require or pressure their employees to conform to a particular religion or to require religious activity in the workplace, especially in the absence of a bona fide work related reason.